Discover our top 10 favorite romantic Caribbean vacations for a perfect honeymoon getaway. The Caribbean is one of the most popular honeymoon destinations in the world, and for many great reasons. This is one place where beach chairs are often perfectly sized for two, the sand filters through your toes like silk, and the skies put on a show with fluffy white clouds followed by spectacular sunsets every night. The warm weather and abundance of luxury resorts make this region of the world suitable for lovers, but you can also find hot spots with active nightlife, secluded private beaches, and campsites that are perfect for low-budget honeymoons. 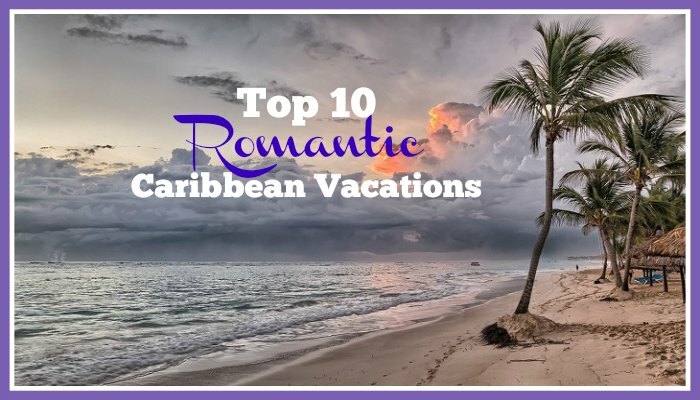 If you’re considering a Caribbean honeymoon or romantic getaway, the following list will introduce you to 10 of the best vacation destinations. 1. Ladera Resort in Saint Lucia. Stay in a spacious villa that’s intentionally missing its fourth wall. This is a unique design concept that allows the picturesque views outside your villa to come right inside. Your personal paradise also includes a personal plunge pool, so you don’t have to venture into public to take a splash. With four-poster beds and upscale interior design, you’ll feel right at home in your villa. This resort offers a variety of packaged deals for honeymooners and lovers looking for romantic Caribbean vacations..
2. Geejam Hotel in Jamaica. 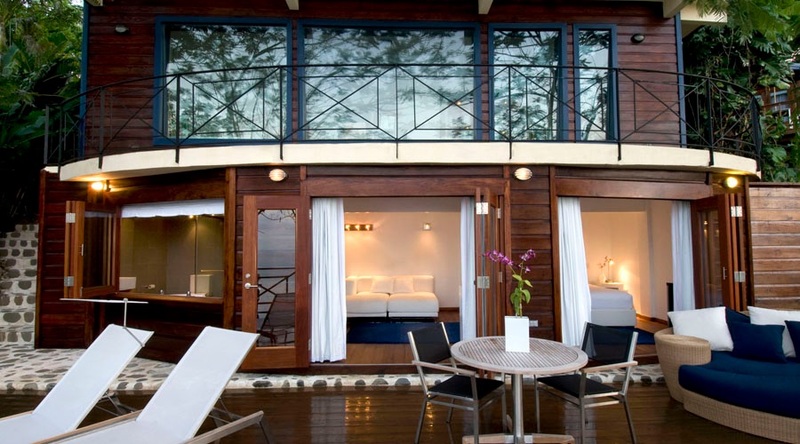 Rent a deluxe cabin or a suite in one of the lushest areas of Port Antonio. The terrain starts in the mountains and spreads out to the coastal waters, so you can immerse yourself in vibrant greenery and then escape to the ocean for a little downtime. You’ll also enjoy some of the most advanced technology when staying in this cozy hotel. 3. COMO Parrot Cay in the Turks & Caicos Islands. You have to ride in a boat for about a half hour to reach this all-inclusive resort positioned on a private island. You can book a room, a suite, or opt for the private villa experience, so you have some control over the nightly room rates. When you book under the Paradise for Two deal, you’ll receive a bottle of champagne upon arrival, a one-hour couple’s massage, and a private three-course dinner served in a tiki hut. 4. The House in Barbados. This is the most luxurious place to stay in Barbados on a romantic Caribbean vacation, so it will naturally come with a big price tag. It doesn’t have a big sign outside announcing its presence, and you don’t have to check in at the front desk when you arrive. This the place to go if you want a secluded honeymoon or a romantic hideaway that truly removes you from the stress of daily life. 5. Jade Mountain Resort in Saint Lucia. Word of warning: room prices start over $1,000 per night at this resort. While that isn’t in the budget for every couple, it’s definitely worth the price for those who can afford to splurge. The rooms feature private infinity pools and unbelievable window views, and all guests have access to a fitness center and spa services on demand. 6. Point Grace in the Turks & Caicos Islands. You’ll find this boutique hotel near Grace Bay. Your romantic Caribbean vacation accommodation options include suites and penthouses, but even the suites are more spacious than you may imagine. You can walk right out the door to one of the most stunning beaches in this part of the world or stay in for spa services and gourmet dining options. 7. Rosewood Tucker's Point in Bermuda. Located in Hamilton Parish, this is the perfect honeymoon destination if you want to stay busy. The resort includes a championship golf course, four swimming pools, private beach, and four dining options. You’ll also have access to the spa if you need something else to add to your itinerary. 8. The Caves in Jamaica. Book a private cottage or suite positioned above scenic caves in Negril. This is the perfect Caribbean destination for couples who don’t necessarily want to spend hours lounging on the beach on a romantic Caribbean vacation. You can see stunning views of the sea beyond the cliffs, but there is no immediate beach to enjoy. What you do get is personalized service that will make you feel like a celebrity and some of the best spa services around. 9. Fowl Cay Resort in the Bahamas. If you want to slip away to a private island, this is the resort to make that dream come true. With only six villas on the property, there are never more than 28 guests on the entire island. This is an all-inclusive resort, and even your alcoholic beverages are included in the booking fee. 10. Caribbean Club in the Cayman Islands. This resort is a bit different than the others featured here because each of the suites are privately owned. This can lead to some variation in room rates, so you may want to do some research when selecting your suite. You can also opt to rent a villa. Now that you’ve been introduced to 10 of the most romantic spots in the Caribbean, are you ready to whisk your lover away for an unexpected getaway? Do you have new inspiration for your upcoming honeymoon? Whether you’re headed out for a babymoon, you’re about to say “I do,” or you’re celebrating nothing at all, there’s a destination on this list that will meet all of your needs. Which one will it be?